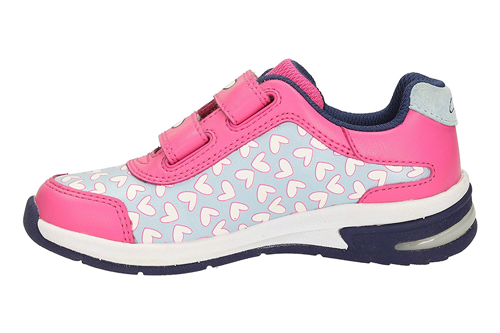 Clarks Piper Way – these stylish girls trainers from Clarks Binkies range feature iconic flashing soles, a beautiful bunny rip-tape fasten, pink and grey combi leather patterned with hearts and a bold colour swatch. They are a great shoe for all day wear as they are made with an agion antimicrobial lining to ensure feet stay fresh all day. 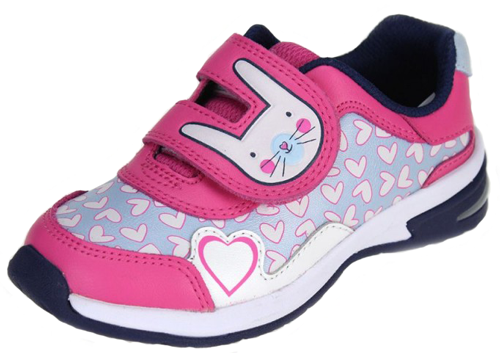 Due to their sporty design, these shoes are well suited to be worn for both active and casual wear. 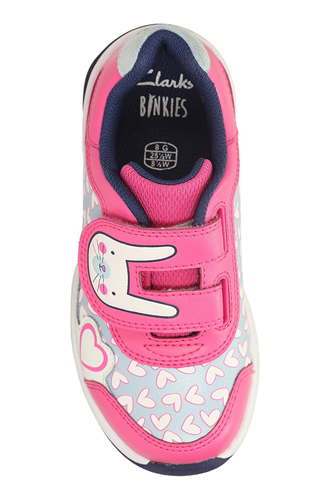 LClarks Piper Way – these stylish girls trainers from Clarks Binkies range feature iconic flashing soles, a beautiful bunny rip-tape fasten, pink and grey combi leather patterned with hearts and a bold colour swatch. 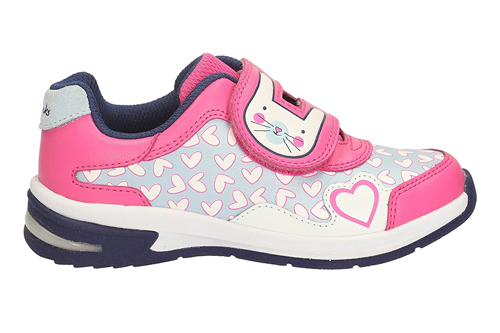 They are a great shoe for all day wear as they are made with an agion antimicrobial lining to ensure feet stay fresh all day.